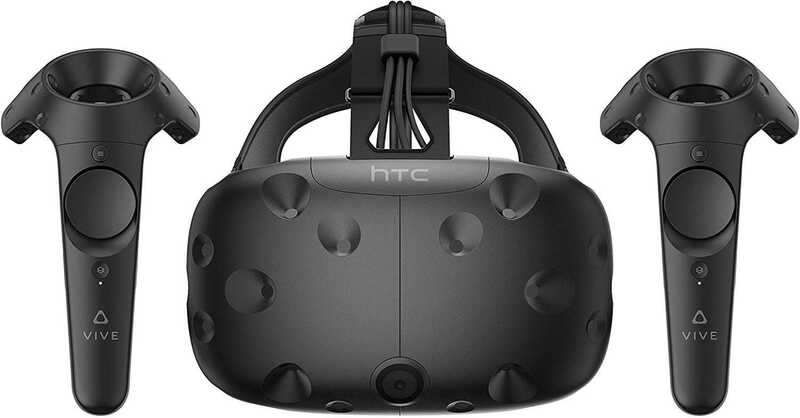 //	HTC VIVE Eclipse Trademarks Spotted, A New VR in the Making? HTC VIVE Eclipse Trademarks Spotted, A New VR in the Making? The world of virtual reality devices further expands as a new HTC Vive Eclipse is in the making. Recently, Sony launched the new PS VR 2 headset with integrated headphones and other fancy features. In terms of VR content, the media industry is still struggling to offer what users really expect. However, there is no shortage of headsets to buy from $50 to $500 or even more. Google launched their own DayDream VR headset edition two at the Pixel 2 launch event this month. With so many new models dropping, are users really interested in strapping huge head mounts and roaming around their house playing games? We aren’t sure yet but the HTC VIVE Eclipse is coming whether you plan to buy it or not. The news has been confirmed through a listing done in New Zealand. 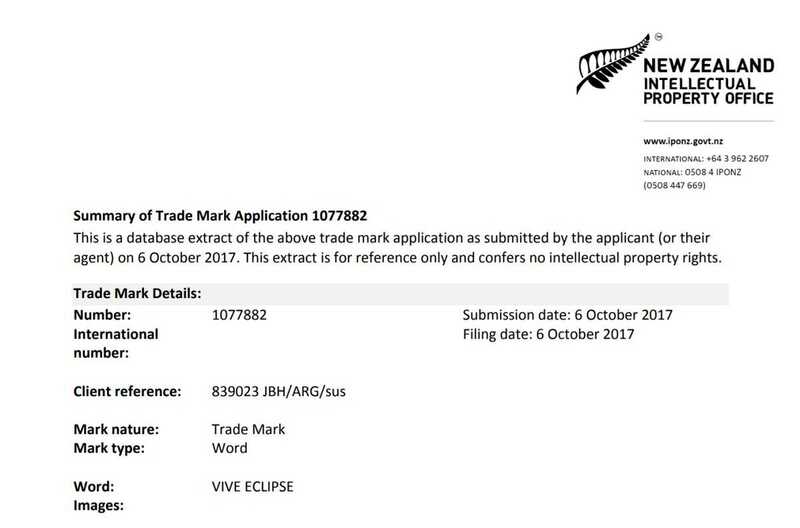 The registration has been done at NZ at the intellectual property office and the company has clearly specified the product name as Vive Eclipse. After all, how many products do we know? The only one and the most popular of them all is the HTC Vive. The submission confirms a new VR headset is in the making. But, not so surprisingly ardent fans should keep their excitement under control as nothing is revealed with regards to the specifications of the device. The description says it is a head mounted display for computer simulated reality but there is more in it. If you are to go through the entire description, it will definitely dent a hole in your mind as it doesn’t make any sense but keeps on repeating what the VR headset can be used with including computers, smartphones, laptops and with portable games. Based on the rumors that came out so far, the HTC Vive Eclipse will support inside-out tracking, work with Windows Mixed Reality and maybe even support 4K visuals so as to make the virtual reality content as immersive as it could. Despite all the improvements VR headset makers are doing, the lack of content and pricing still deters most buyers from jumping into this bandwagon. When a favourable situation arises in terms of compelling VR movies and game content combined with affordable headsets like the Google Daydream, most may feel inclined to give it a shot and confirm if it is the new experience they have been looking for. The Vive Eclipse may alter the game even further when it gets launched.